Amazon recently introduced a new service called Amazon Dash Replenish. Its aim is to re-stock supplies for your smart, connected devices automatically. So if your printer is getting low on ink, Amazon will ship more to you without you having to go through the whole ordering process. It’s a helpful feature for small businesses that don’t have the resources to dedicate a staff member to constantly monitor and restock supplies. But Dash Replenish is not the first service to accomplish this task. Here are other services that will help you easily restock your office supplies. 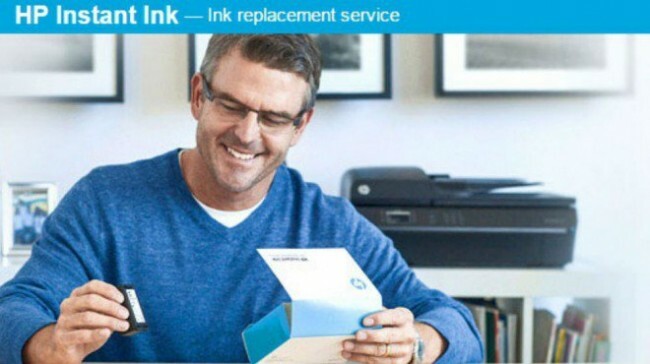 With an eligible HP printer and HP Instant Ink, you can connect your device to the Internet and set it to automatically order new cartridges when your supply is dwindling. Xerox also offers a service that lets you connect your printer to its online ordering portal. Xerox Metered Supplies allows users to sign up to receive automatic refills of ink, keep tabs on your meter readings and more. When shopping for office supplies on the Office Depot website, you can select certain items to be shipped to you on a regular basis, rather than as just a one time purchase. This allows you to receive regular shipments of the items you use most often, without you having to actually order them over and over again. Shoplet’s Schedule and Save program allows customers to order office supplies that they use regularly on a recurring basis. For example, if you know you go through a certain amount of paper or ink every week, you can set your account to automatically order that amount each week. You can set weekly, monthly or custom intervals for a huge variety of office supplies. With this program, Staples connects you with a company representative to help manage your office supply needs and ensure that you’re constantly stocked with the essentials. This offering from Nobel Systems includes a software interface that lets you track and maintain your office supplies across multiple departments. You can also set up regular re-order reminders. Target Subscriptions allows you to schedule regular purchases of items you use often. It’s not specific to office supplies. But it does offer a 5 percent discount along with free shipping. Rad and Hungry won’t exactly detect when your printer is low on ink. But it can give you access to unique office supplies and paper goods on a regular basis. There are a few different subscription levels to choose from. Or you can just purchase one kit to see if it’s for you. The iOffice Inventory Tracking Software allows you to track levels of various office supplies, receive alerts when certain items are running low, and track shipments of new orders all in real time. Quill.com is an online store for office supplies. The site allows you to save your previous orders or favorite items so that you can easily reorder when you need to. And you can also add your printer and ink preferences. ReStockIt also aims to make it easy for customers to reorder their favorite products. You can save your past orders under your account and quickly repeat those purchases.